A collection of music from the road. The Indigo Girls have always been the core of my life’s soundtrack. There is something between the relevant, beautiful lyrics, the acoustic harmonies, and simplicity of their music that fits. In a world of committee-written, commercialized, and plastic music, the Indigo Girls are a welcome respite. The album sits precariously on the very tip of twangy-country music with it’s gritty, organic, mountain influences and the acoustic harmonies Amy Ray is known for. But when the twang of Appalachia is revealed, it is a welcome addition to the story in the music and not a distraction from her age-old folkiness. As is always the case with Amy, her lyrics really hit home. Of all the tracks, the one that really resonates with me is “When you Come for me.” As I roadtripped from Vermont to Oregon recently, I could not help but think of my grandmother’s passing while listening and pondering this track. I may even ask that it be played at her memorial. My sunglasses have hid many an errant tear during the 4 day drive as memories of Nana streamed in. Oyster and Pearl is more Indigo than Amy, but this is what qualifies it for my second place fav. A hint of banjo pulls in the country, while the immersive lyrics tell a fascinating story that lets you drift off into a smoky, local, leaf-stripped and frigid mountain life. My Dog is an upbeat, acoustic offering that ties banjo, bass, and guitar together into a toe-tapping, steering-wheel slapping, ear-worming track that will stick with you all day. The speedometer will increase while humming down the interstate, so be careful. Overall, this is an illustrative, story telling album, speaking of snowfalls, coyotes, and ramblin’ rivers…purity and darkness. Of man’s best friend, and man’s worst enemy. There really are no detracting fillers in this album. Perhaps the only downer are some of the tracks, notably More Pills which, while more twangy, is a bit depressing of a song. But that is part of the album story so it works. Goodnight Tender (the track) leans into minor key territory on occasion (is that a slack key I hear? ), which does help paint the dreary aspects of the story. This is organic, country music that tells both sides of the story. The good days and the bad, the My Dog and the More Pills. As Amy’s sixth solo album, Goodnight Tender brings out her best. Two parts Americana, one part twang, and one part Indigo blends all the beautiful elements of this album. Add in a pinch of I-80 truck stop. Pop this in your Jeep, hit the open road (or trails) and slip back into a simpler time and place. 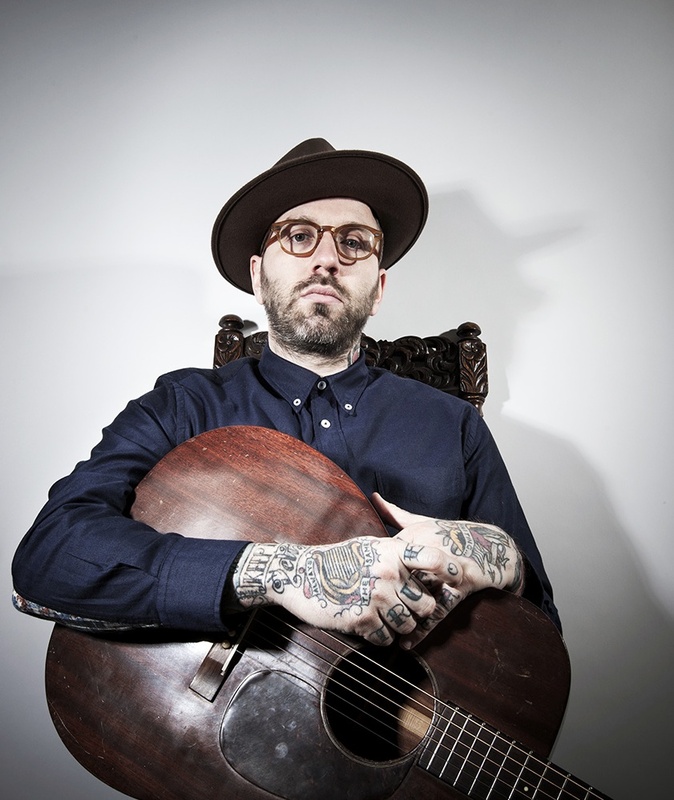 City and Colour (Dallas Green) is one of those rare finds that soon become woven into the soundtrack of your life. But it happens not like a binge-watched season of Breaking Bad, or a sudden obsession with orange juice that soon leaves you craving that next big high, but more like that crazy singer at the bar that is so fantastic, the place is silent, jaws agape. The music is just a fantastic combination of organic, gritty lyricism combined with a very simple analog guitar folk flavor that is at home accompanying a starlit Jeep drive, a road trip to the coast, or passing some time at a coffee shop. The guitar leaves an aftertaste of blues or jazz, I really can’t tell – it’s just a taste. But there is some residual twang at the end of some chords that leaves you wondering if they were deliberate or a natural extension of the inherent flexibility in this music. The lazy drums seem like an afterthought on many tracks – which is not necessarily a bad thing. If this music had any more structure, it would be over processed and trying too hard. Dallas has found the sweet spot here: dangling us between overly complicated instrumentation, and coffee-ground mucky lyrics so smoky, you can picture the Marlboro dangling from the singer’s lips as he sneaks sips of Maker’s between verses. In the end, City and Colour’s complete picture of variety, lyrics, and instruments combines into a fantastic medley of catchy tunes. It is versatile music at its best, with applicability in any situation yet it lacks a true identity.